Medical eye care and Medical Eye Emergencies: Allergies, Red-eye, Dry eyes, Surgical co-management, Glaucoma, Macular degeneration, and Minor Emergencies. Dry Eye Specialist: For more information on the symptoms and treatment of dry eyes visit the “Dry Eye Treatment” page located under “Eye Care”. 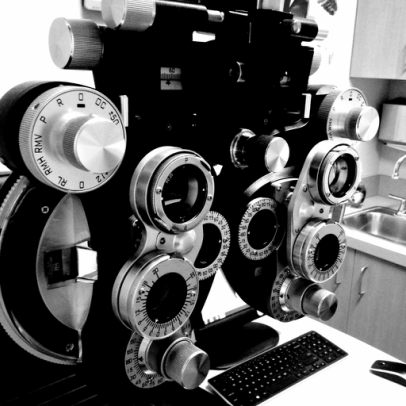 We use several instruments and procedures to evaluate the health of your eyes. With the medical microscope (slit lamp biomicroscope), Dr. Nielson can actually see inside your eye to check for cataracts, retinal problems and evidence of systemic diseases such as diabetes and high blood pressure. A pressure test for glaucoma is done by the doctor with the tonopen. You will be completely comfortable during this test as no puff of air will be used.